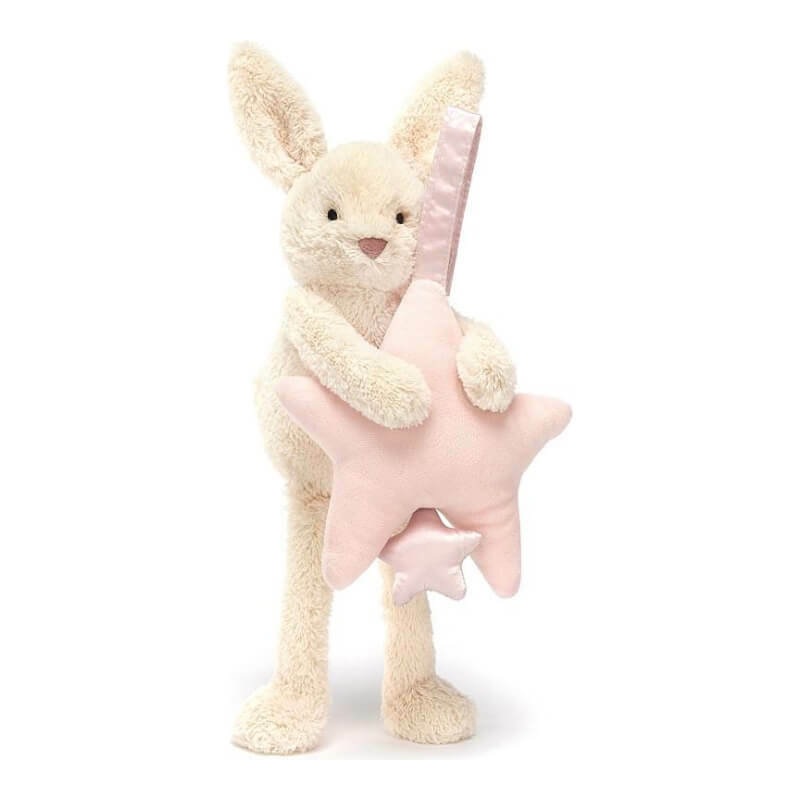 The Star Bunny Pink Musical Pull brings a little showtime to naptime! 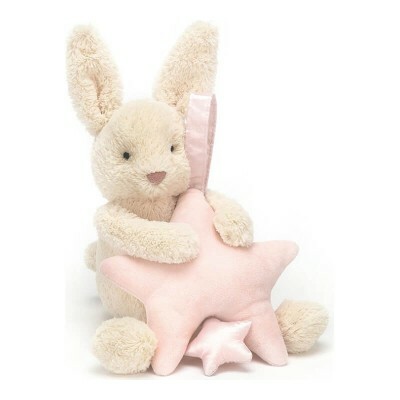 This adorable pull has a cloudy-cream bunny clinging onto a blush-bonny star. Fix it to the buggy, cot or bouncer for a sparkling surprise! Little ones can reach and tug the pink satin star to hear Twinkle, Twinkle Little Star!